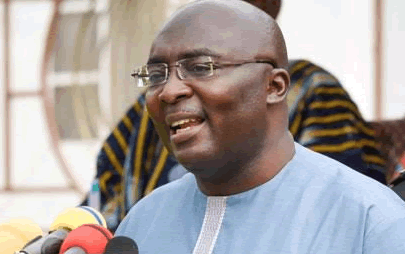 Vice President Dr Mahamudu Bawumia, on Thursday, launched the Ghana-Oracle Digital Enterprise Programme (GODEP) to create initial 500 Ghanaian start-up enterprises as technology business leaders towards building a robust digital economy. Vice President Bawumia, speaking at the inaugural ceremony in Accra, said the Ghana-Oracle partnership would be a game-changer for Ghana’s digital advancement and encouraged the youth to take advantage of the programme and bring their innovative ideas to bare in the industry. The GODEP is a partnership between the Government of Ghana and Oracle Corporation, California, USA, to develop technology-enabled start-ups in Ghana, which is the first partnership initiated in Africa. The Vice President acknowledged the enormous ingenuity of the Ghanaian youth in technology and was of the conviction that, the Ghana Innovation Hub would nurture those talents in digital entrepreneurs to propel the country’s digital advancement and economic development. He pledged government’s support towards designing and deploying technological tools and making technological footprint larger and meaningful. “I encourage technology enthusiasts and start-ups and tech companies to take advantage of all the avenues created by the government of Ghana and through this partnership with Oracle. “You should actively be part of the platforms and services for your disposal to unearth latent talents, showcase and sharpen your strength and competencies and become a tech tool for our socio-economic environment and as a desired legacy leading to prosperity, Dr Bawumia emphasized. Vice President Bawumia noted that the world was undergoing fourth industrial revolution and technology is driving business environment globally, therefore it is prudent to harness the creativity and ingenuity of the growing technological phenomenon to accelerate economic growth. He said, history had taught humanity that countries that mustered technology often prospered; hence President Akufo-Addo government’s decision to make technology a critical part of the transformational agenda. In view of that, he led a team from Ghana to visit the Silicon Village, USA, last year, to witness and understand how technology was being used so that Ghana could get to the forefront of technology and build partnerships with the big players in the industry. He, therefore, expressed delight that the move had blossomed into something fruitful with the partnership between the Ghana Government and Oracle Corporation. He said industrial revolution had contributed to the rapid digitization of a large interaction of organizations with most advanced countries at the blink of new innovations and constantly rolling out new technology to improve daily lives of their peoples and simplifying hitherto daunting tasks. Dr Bawumia said the Government and people of Ghana were not ignorant about the benefits of digital revolution and, thus, embracing and indulging in new technologies heartily with open minds to chart a positive cause. In that regard, he said, the national lives of Ghanaians were being infused with current technology spanning the national identification system, digital address system, paperless ports system, e-banking system and mobile money interoperability platform. The government, he said, had set up digitization agenda to improve the efficiency of many government agencies, enhancing accessibility of public services and payment of public services towards removing the temptation of corrupting simple processes and procedures that were meant to improve the quality of lives of Ghanaians. He said technology has changed life dynamics and enabled farmers to utilize technology into their farming activities, which aided in their agriculture yields, medical diagnosis and healthcare delivery, as well as recording data more accurately, ensuring efficient processing of national documents like passports, drivers’ licenses and clearing of goods at the ports. He cited efforts government was making towards using drone technology to deliver essential medical supplies and blood to hard-to-reach areas, which would help in overcoming geophysical barriers that might impede delivery of goods and services. He said the extension of fibre optic network to connect the Western and Eastern corridors should help in increasing fast and reliable broad band network services for the citizenry. Madam Maria Forney, the Director of the Oracle Global Start-up Ecosystem, said Oracle was one of the top-notch providers of cloud-based software and had broad portfolios for companies and organizations of different sizes globally. She said, it had clients in Africa including; the Government of Ghana, ECOBANK-Ghana and Fidelity Bank, noting that, aside providing employment and support to start-ups, it also delivered unique solutions to some of the world’s most pressing challenges. The Oracle Start-up Ecosystem, she explained, aimed at helping entrepreneurs and to enable the next generation of the youth to drive cloud-based technology for start-ups and customers. Madam Forney acknowledged the resourcefulness, creativity and honesty of Ghanaian entrepreneurs as the reasons behind its decision to establish the partnership with Ghana, and government’s commitment to digitize its economy and desire to extend its services around the world. Mrs Ursula Owusu-Ekuful, the Minister of Communications, in an address, said the programme would promote digital entrepreneurship and create digital jobs for the youth in the next two years. The programme, she said, would work with start-ups of all sizes and at different stages from university affiliated incubators, early-stage start-ups and fledgling enterprises that needed a little push to succeed. Additionally, it aimed at promoting local solutions and applications that could solve the contemporarily challenges and even export them globally.